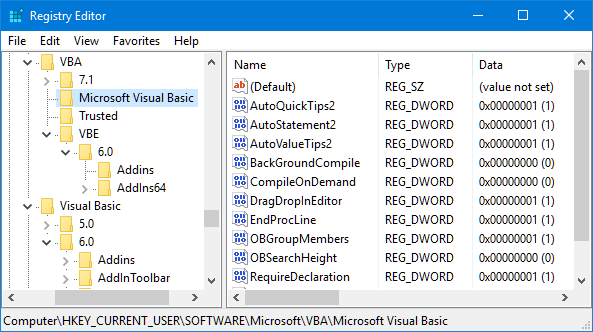 The VB6 IDE must have applied Service Pack 6. The tab width must be 3 characters. 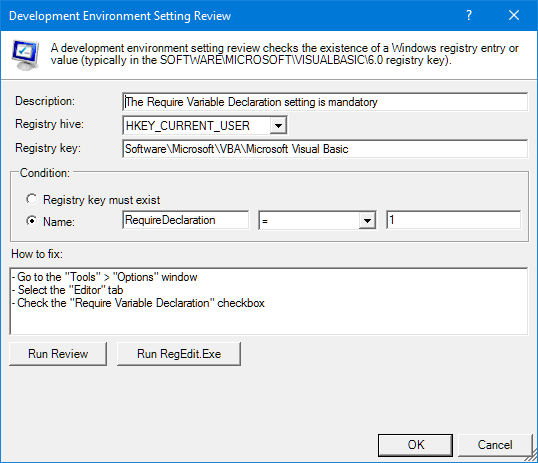 The Require Declaration setting is mandatory. The Office version must be 2016. The Office language must be US-English. 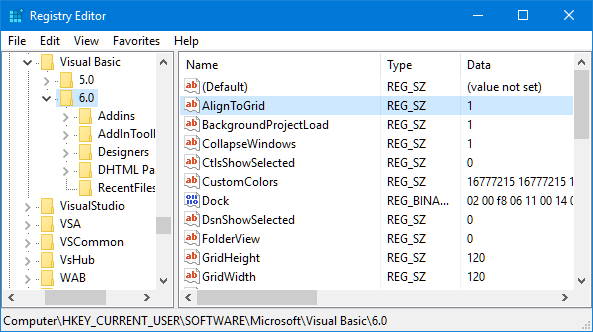 The source code control repository must have some URL. 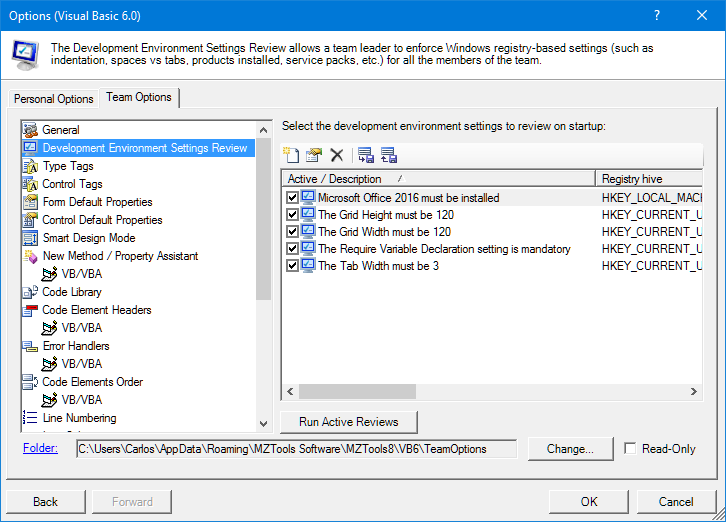 That page allows you to create, edit, delete, activate or deactivate development environment setting reviews, and provides a handy “Run Active Reviews” button to check that they are correctly defined. 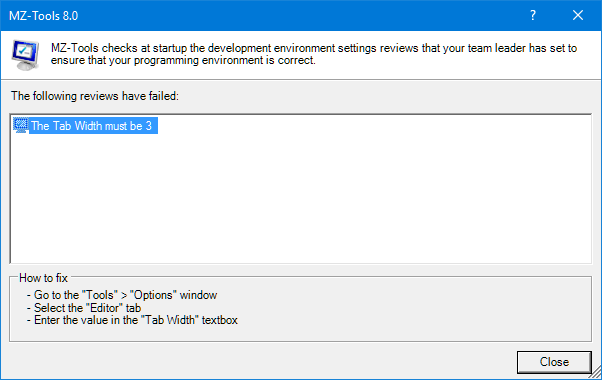 This feature is not only useful for teams, but also if you have more than one computer for development, or even if you need to format your only computer and want to have the same settings as before, provided that you have defined them previously and made a backup or you are using cloud based options.